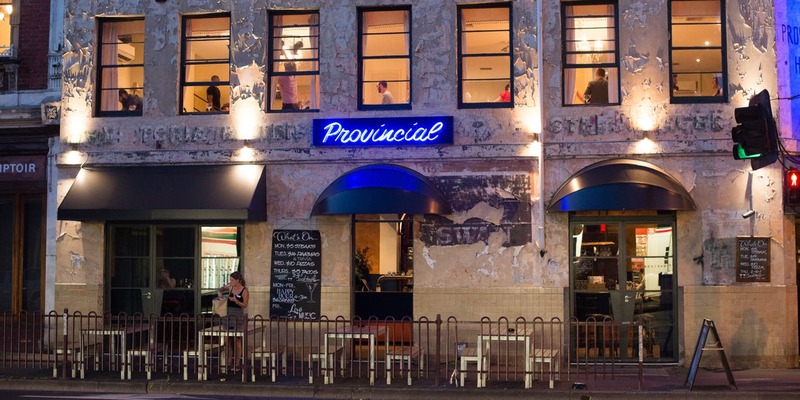 These are the favoured haunts of the hipster. Hipsters have an uneasy place in our cultural landscape, not least of which is their role in gentrification. However, their role in the inner city is important in showing the rest of the city how to create contemporary, accessible and successful third places with low, non-gendered barriers to entry. Third places provide residents and visitors with a variety of what Ray Oldenburg calls “the core settings of informal public life”. Cafes, bars, pubs, clubs or chess rooms (in some places) are places where people can meet informally or be “together alone”. They allow for planned and accidental encounters across different times of the day and are essential for a healthy neighbourhood social life or “sense” of community. 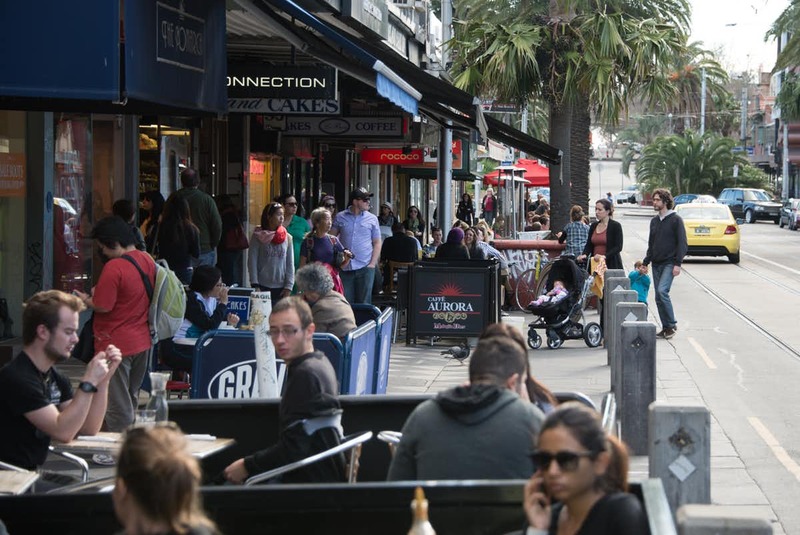 Cafes and bars provide a ‘third place’ where people can meet informally or be ‘together alone’, as seen here in St Kilda, MelbournePeter Walters. Suburban retail centres become less “local” – shopping centres are isolated from the surrounding neighbourhood, controlled by a single corporate landlord, marooned in a sea of parking and offer a predictable range of franchised outlets and national brands, often anchored by a large supermarket. At the district level are huge impersonal shopping malls. History has an obvious role to play. Inner-city suburbs were planned and built before widespread car ownership. Streets are laid out in grids, which make for easy and direct pedestrian or bicycle travel. These areas were built before the introduction of strict “single use” zoning regimes, so have a good mix of land uses. Retail, residential and even industrial properties exist side by side. Property ownership has evolved so one landlord rarely controls an entire retail strip. Businesses open on to wide, protected footpaths which are thoroughfares for more than just the businesses located there. The built form is varied, interesting and vernacular and suited to small independent businesses. Buildings are varied, interesting and vernacular and suited to small independent businesses in West End, Brisbane. Peter Walters. 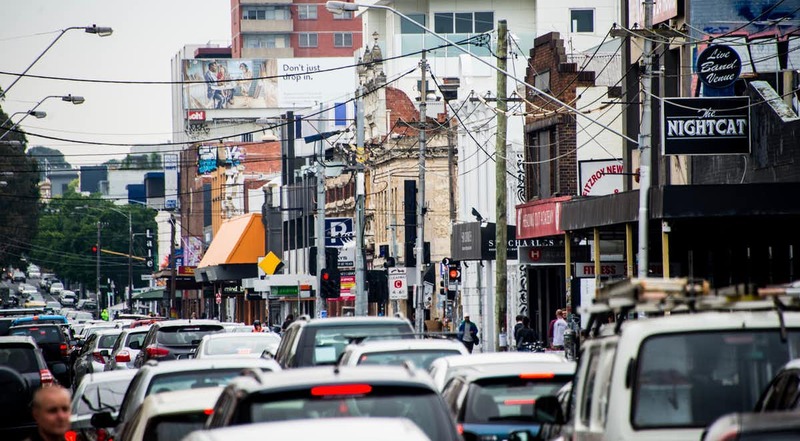 Inner-city neighbourhoods in recent decades have been gentrified as more affluent residents and businesses colonise formerly working class, migrant or Indigenous areas of inner cities. Gentrification takes place over a long time and in particular phases. This in turn attracts better-resourced gentrifiers who share the same cultural tastes as the renter gentrifiers but have money. This creates demand for a range of retail outlets, such as artisanal bakers, micro-breweries, tattoo artists, vintage fashions, vinyl record stores, independent bookstores and, most importantly, abundant bars, cafes and coffee shops. Keeping ‘McDonaldisation’ at bay in Fitzroy, Melbourne. Peter Walters. The desire to get out of your house, to socialise, to see your neighbours out in the community or to be “together alone” is not limited to the inner city. There is no reason people in the suburbs would not respond to independently owned businesses, rather than the remotely controlled, rationalised franchises – see “McDonaldisation” – that populate so many suburban shopping centres. Property developers are often quick to point out that local retail is not economically viable in new suburbs unless it consists of supermarkets and fast-food outlets and is surrounded by tarmac. Local (walkable) retail is invariably compared on price to the large impersonal shopping malls that draw shoppers in from the suburbs. 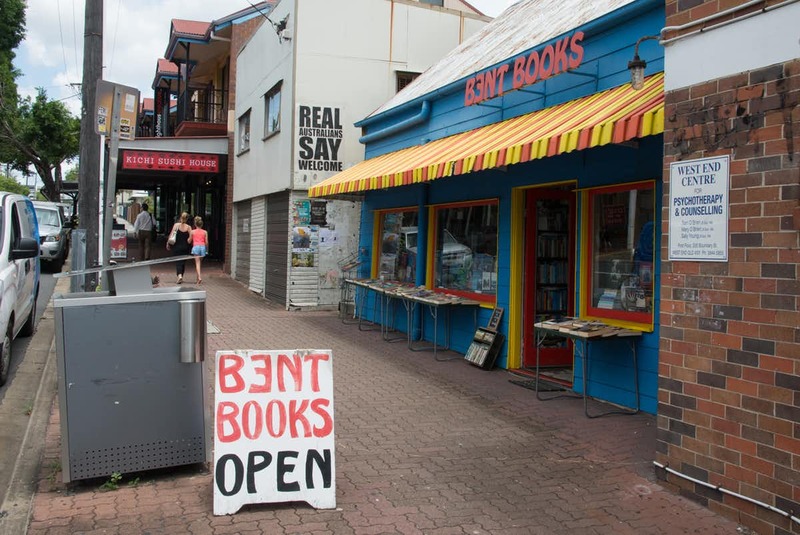 However, the lure of a small local shopping precinct, where “third place” businesses such bars, cafes and restaurants and community hubs can operate at survivable rents, is a different proposition. This is not a new suggestion. Various models have been proposed to subsidise retail rents, provide independent freehold of individual retail premises, or rent control. Developers have been reluctant to help with this as it not profitable (for them). Local authorities have also been reluctant to engage developers on this front. There are, however, some encouraging exceptions to this. Some more enlightened developers see the sustained benefit of creating community hubs. The argument is for a social good rather than a purely economic one. The outer suburbs are spatially different to the inner city – history and late capitalism have taken care of that. Local authorities need to think about current inflexible zoning regimes and about how small socially beneficial businesses can be encouraged. Suburbs do not empty out during the day. In a post-work and ageing society, suburbs will become socially barren places to live unless there are lively hubs where people can leave the private realm of the home and see each other in a welcoming environment in which they feel some authorship.